At Sharp & Tappin our experienced team will help you to realise your ideas and turn your concept into reality. Offering an extensive mix of mechanical engineering, electronic and software design & development skills, ensures success on any project. With over 15 years of electronic, software and control systems engineering experience, Ben joined the Sharp & Tappin after a successful career which took him around the country and the world. Now the managing director, Ben is keen to share his wealth of experience with an aim to help you to realise your concepts and ideas. Ben lives engineering in his spare time he prepares and races his hill climb/sprint car and enjoys music on his home built hifi equipment. Kevin started out as a CNC lathe operator on an apprenticeship with a local engineering company while attending North Devon College, and after working with some well respected national companies and after honing and enhancing his skills, he decided to go into partnership and found his own engineering business – Sharp & Tappin. He is a keen innovator, enjoys new challenges and is also a keen rally driver with multiple trophies to his name. Paul has over 27 years experience working in engineering with an enhanced skill set in machining, milling and tooling . 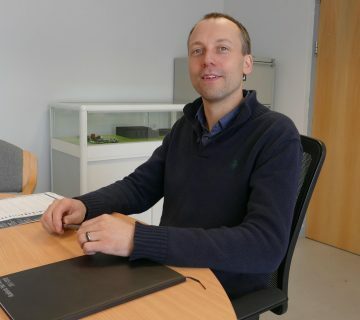 After completing his engineering apprenticeship in Devon Paul developed and enhanced these skills in two national engineering companies before returning to help develop Sharp & Tappin into a Devon based company with a national coverage. He is also a respected rally driver and spent 2 years running and teaching at a rally school. Peter is the other founder in Sharp & Tappin. With a strong background in innovation and engineering he has travelled the world working on some major projects including from design, development and through implementation. After 35 years of working for someone else, he decided to develop his own business and in partnership launched Sharp & Tappin.